Operated 1879-1930 by N.C. Industrial Assoc. to accommodate the state's black citizens. Was held, 1891-1925, fifty yds. N.
Over the course of its fifty-one-year history, the fair welcomed notable and influential speakers and guests from across the nation, including Frederick Douglass, Booker T. Washington, John Mercer Langston, and Maggie L. Walker. Toward the end of the fair’s run, the NCIA encountered difficulties in obtaining use of the state fairgrounds from white leadership. No fair was held in 1926, 1927, and 1929 due to the association’s inability to secure an alternate site, and as a result, state appropriations were withdrawn. The state, however, assisted in the acquisition and funding of a permanent fair for white citizens about this same time. 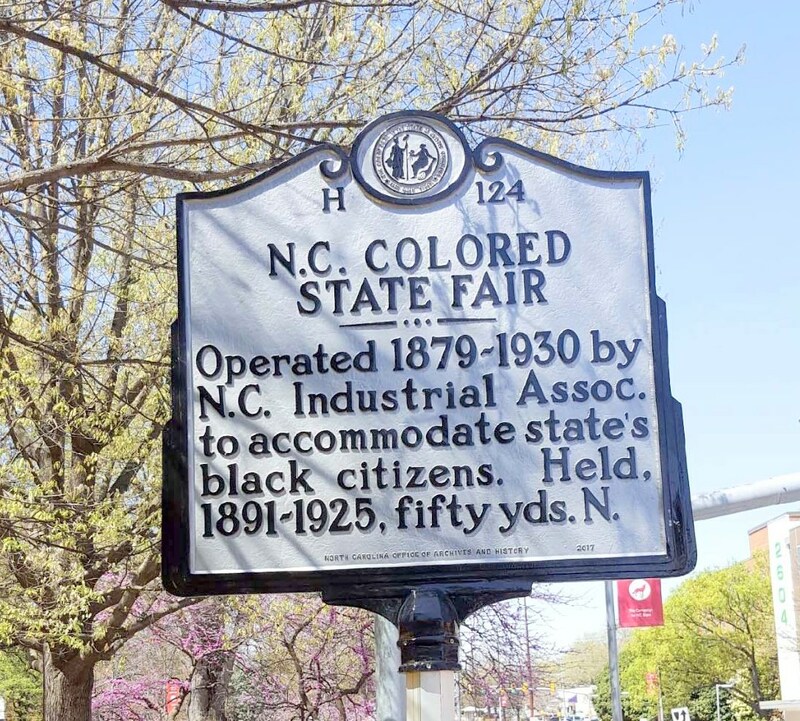 The Colored State Fair was convened in 1930, but the General Assembly’s refusal to reinstate the annual appropriations and the death of the fair’s chief supporter, Charles Hunter, in 1931 brought about its permanent demise. 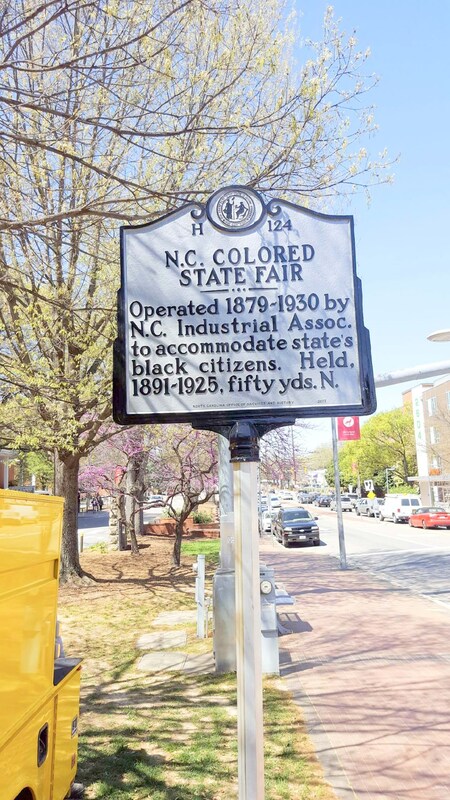 Despite the loss of their fair, black North Carolinians remained barred from attending the regular state fair for another eighteen years.